Need some knowledge here and I know you guys are the best. I am having some trouble getting a clean bait on some of my molds. 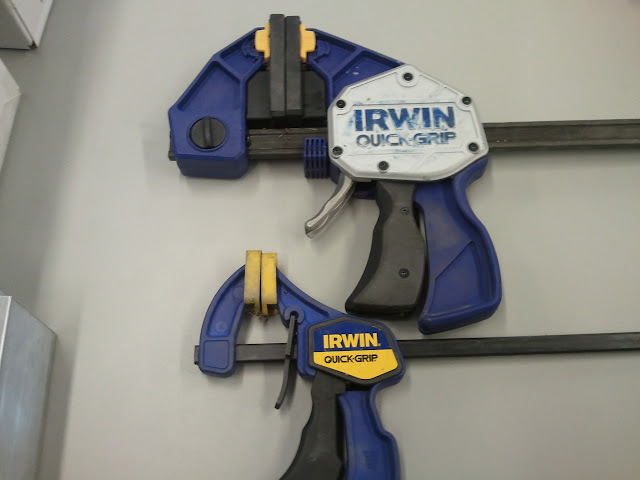 I am using the 6 inch Quick Clamps by Irwin (same ones as on the site). Can someone break it down for me? Do you clamp in a certain direction? How tight? As much detail as possible would be helpful. Do you clamp different molds, differently? Always 2 clamps, on long molds (over 10") I use 3. 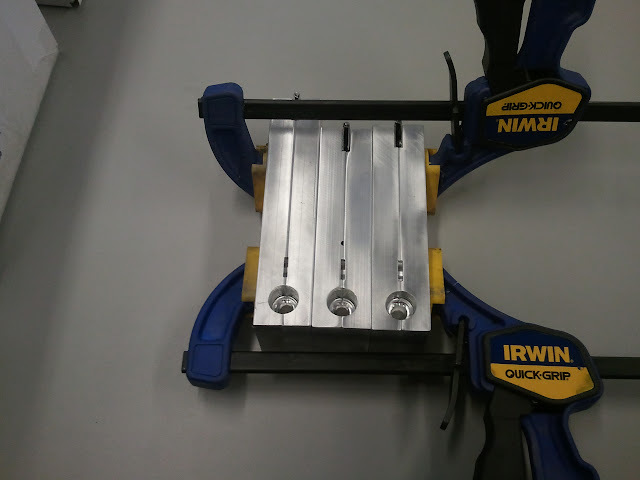 With the small Irwin clamps I snug them as tight as they will go. They will give out over time - once they slip never trust them again. When they do, it is worth investing in clamps. I like the 24" and 36" bar clamps, the 600lb ones. They are a little pricey but really hold your molds securely and evenly. Don't use c-clamps, or if you do be really careful. They can put a lot of pressure in a small space and can aid the warping of a hot mold. 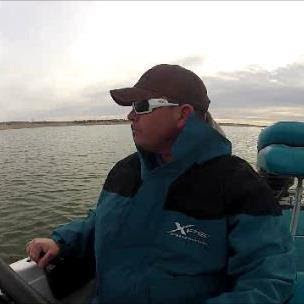 I am not very experienced; but if there is a way to foul up I usually find it pretty quick. I was using two of Jason's clamps on a small mold, clamping the one closer to the hinge first then the other. Tried to keep the clamp pads about in the "verticle middle" of the mold. Then not much downward pressure on the injector. Worked great. Getting this down pat. Being the not to swift person I am; I thought "two clamps seam overkill, why not just put one dead center". Well, I guess CC plastic is about like water and doesn't compress very much. On the next injection plastic politely sprang forth from several areas of the mold. Physics works don't it. Went back to the original way and all is working as it should. One other free tidbit; if you push down on the injector body too hard and put too much pressure on the plunger; hot plastic will squirt out between the injector and mold with pretty good velocity. Physics works don't it, Chapter two. Was not injured, just a DUH moment. Reminded me to always wear heat resistant gloves and eye protection. Thank you both for your comments and advice. It does seem to matter where you clamp and some molds are more sensitive than others. If funds allow it, these are much heavier clamps and worth the investment in my opinion. This is what I use when not testing - just making baits for myself as they are faster, hold more molds and last longer. If I had a long mold in the mix I may use 2 of the bigger clamps and a smaller one just on the end of the long mold. I would be curious to know how others are doing it as well. I have been clamping each mold separately (i.e. two clamps for the croaker, two for the mudbug, ect) , whereas, you have been ganging them together. I will have to try that. I have lots of clamps. I just bought two more 300 lb clamps. The ones I was using at 100 lb each. Thanks for the pictures - very helpful. Definitely gang them up, especially if you have the heavier clamps. If you clamp them good you can shoot 2'-3' of molds no problem. There are some guys on here that have a similar setup times 10 and shoot them all in one go. 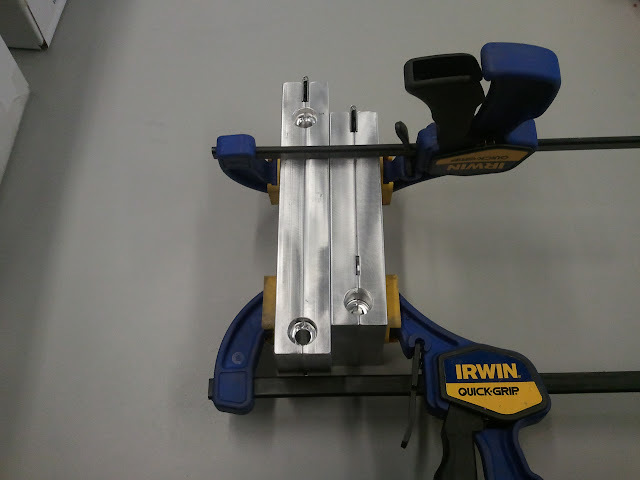 I use the same ones that Jason uses in the picture.. And I also use at least 2 clamps.... I am new to this also and made the mistake of only using one clamp.. lets just say I will never make that mistake again..
You mentioned in this post that some clamps will ware and slip, does the larger clamps like the 300 or 500 lb clamp slip after a period of time or do they hold up much longer? I am using the 6 inch irwins and I can feel the ware in them now. I've had the smaller ones wear out, but haven't worn out a larger one yet. I'm sure they will eventually, but so far so good. I clamp in the same locations you have pictured. Though I "hard" clamp the front and will vary pressure on the back, I do this for easier flow of plastic. When I have different color claws in a craw, I clamp a little harder on the back clamp, as the claws tend to push the mold open slightly. At most it takes me one or two shots to determine the correct pressure at the back clamp. I can clamp harder when there are the small airvents like in the CC craw legs. Another little helpful tidbit. If your fixing to shoot up a bunch of baits and you only have one mold. That mold tends to heat up pretty quickly. I like to take two other molds and place them on oposite sides of the mold you plan on shooting with the sprue hole facing down so you don't get confused on which mold your shooting. The two other molds keep the one your shooting from not heating up so fast. Then when the other molds start getting warm I just trade them out with some cooler one on the shelf. Just my littl 2 cents. CasterCreek -- Thanks - a neat idea - adding an aluminum heat sink in essence.